Services – Alexora BioMedical Technologies Inc.
Elemental hair analysis is an analytical test that measures the mineral content of the hair. It is a non-invasive relatively inexpensive method of testing and is very accurate. It gives way for personalized medicine, wherein the test serves an excellent method for assessing, monitoring and guiding the correction and improvement of one’s body chemistry. Hair provides a window into the entire inner workings of the body, giving us accurate insights into how to balance one’s health through a nutritional protocol. Hair is an excellent way to see imbalances in metabolic health and bring correction to them before deeper health pathologies set in. When imbalances are found, elemental hair analysis gives a systematic diagnosis for treatment of disorders of mineral metabolism and the exchange of substances of human as a whole on the basis of a unique medical technology. As the hair is being formed, prior to extrusion from the scalp, it is exposed to the blood, lymph, and intracellular fluids. When it accumulates as the cortex of the hair shaft hardens, the internal metabolic environment is preserved as a biochemical record. Human hair has been accepted as an effective tissue for biological monitoring of toxic heavy metals and is being used for this purpose throughout the world. The use of hair has advantages over other tissues. The blood measures only those nutrients that are temporarily in circulation before being either excreted or sequestered into tissue storage depots. Minerals are also vitamin level indicators due to vitamin-mineral synergism and antagonism. Even though vitamins and minerals work together in the body, excessive intake of a single vitamin can lead to mineral imbalances by producing a deficiency or by increasing the retention of a mineral. Many vitamins are closely associated with mineral functions. 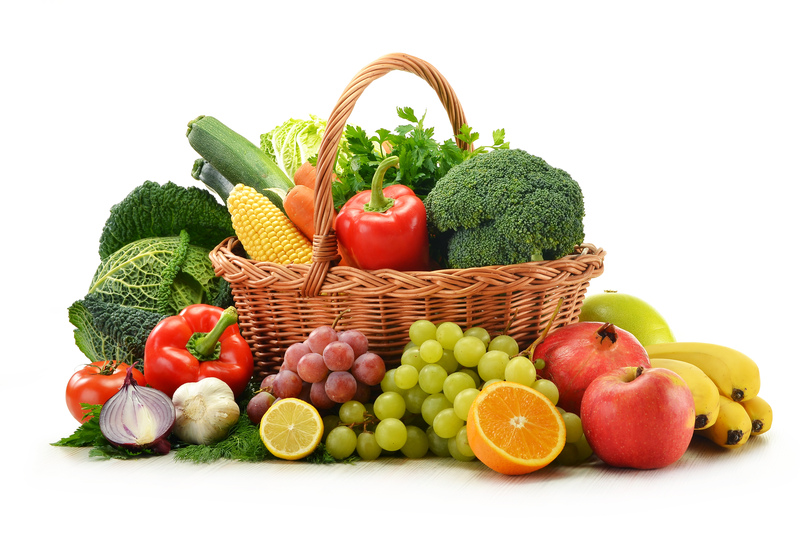 Vitamins are considered co-enzymes, aiding the minerals in their activity. Hair is one of the most readily accessible tissues to examine, and given the vast amount of information, it is one of the most economical nutritional tests available today. are exposed to heavy metals’ toxicity. Doctors have long noticed that many of the diseases associated with lack of income and in the body of certain macro- and microelements (ME). For example, an association was found between iron deficiency and the occurence of anemia in the organism. At the end of the last century it has been proven role of iodine deficiency in the pathogenesis of endemic goitre. Since the amount of information about the role of the excess or deficiency of certain minerals in the formation of diseases avalanche increases. Given the biological role of trace elements, they are involved in almost all biochemical processes in the human body, the environment pollution issues of concern not only to environmentalists today, but also physicians of all specialties. Of the 92 naturally occurring 81 chemical elements found in the human body. 12 elements are called structural because they comprise 99% of the elemental composition of the human body ( C, O, H, N, Ca, Mg, Na, K, S, P, F, Cl). It works for nutritional balancing assessment. Mineral levels in the hair are about ten times that of blood. Collecting a hair sample (at home) is quick, easy, painless and non-invasive. Hair is a fairly rapidly growing tissue. Specialized conditions for handling and mailing hair and nail samples are not necessary. Hair is a stable biopsy material that remains viable for years, if needed. Hair is a non-essential, excretory tissue. The body often throws off toxic substances in the hair which is very helpful to identify toxic metals. 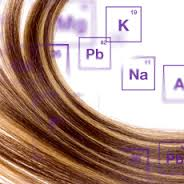 Hair analysis is among the most cost-effective, accurate and reliable mineral analyses. 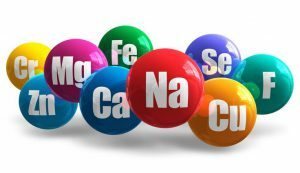 Magnesium is an important intracellular element closely interacting with potassium and calcium in metabolism processes. It is known to be an antistressing mineral creating a positive psychologic mood. It activates enzymes systems; it is required to provide “energy” of processes vitally important, regulate neuromuscular conduction of unstriped muscular system tone (vessels, intestines, gall and urinary bladder etc.). Magnesium deficiency in organism induces development of diseases of cardiovascular system, gall bladder, kidneys, goiter, children’s convulsions; it disturbs pregnancy and childbirth, increases risk of oncologic diseases. Moreover, this major element has antiarrhythmic feature, strengthens immune system. Magnesium stimulates recreation after physical trainings, helps you feel young and energetic. Dosage: 2-5 tablets/day for adults and teenagers older than 15 y.o., with meals. Taking more is useless. immunodeficiency (possible increased risk of neoplastic diseases). Caution: not recommended for patients with hard kidney diseases as well as with antibiotics simultaneously; possibility of individual intolerance to product components. Storage: Keep in a dark dry cool place. Copper is an essential element. It has significant role in regulation of oxidation-reduction, neuroendocrine processes, haemopoiesis, hair and skin pigmentation, synthesis of a goiter hormone thyroxin, formation of conjunctive tissue that is the base of musculoskeletal system, skin. Copper has the expressed antiinflammatory property, softens autoimmune diseases appearance (atrophic arthritis), promotes iron assimilation. In copper metabolism disorders lipid peroxidation acceleration and intensification that accelerates organism ageing process. In the ancient period copper was known as the Venus – love and beauty goddess – element as this trace element promotes female sexual hormones synthesis, make women’s skin, hair attractive and fresh, body – pliability and slenderness. Dosage: 1-3 tablets/day for adults and teenagers older than 15 y.o., after meals. Taking more is useless. immune system suppression; accelerated aging. Caution: not recommended for patients with hard kidney diseases as well as people contacting with copper on a job; possibility of individual intolerance to product components. Manganese is a vitally essential for human trace element taking part in regulation of neurochemical processes in CNS, osteogenesis, allergic reactions, antioxidant system of organism defense from free radicals. Manganese deficiency in children and adults may lead to carbohydrate metabolism violation on the type of insulin independent diabetes, reproductive functions disorders. Manganese is known to be manager’s trace element as its deficiency in organism worsens mind processes, capability to qick decision significantly. Moreover, this important element prevents lipids accumulation, regulates muscule normal status. Dosage: 1-2 tablets/day for adults and teenagers older than 15 y.o., with meals. Taking more is useless. immunity disorders, allergic reactions, risk of cancer. Potassium is the most important intracellular element – electrolyte and activator of some enzymes. Potassium is of a special importance for organism cells nutrition, muscle activity, including miocarditis, for water-salt balance, blood pressure regulation, heart and endocrine system work improvement. Moreover, potassium improves efficiency; raises mind aqiuty, supports nervous tissue and neuroconnectors stability as well as promotes normal metabolism processes passing. Potassium deficiency in organism induce arhytmia, weakness development, convulsions, xerodermia appearance and mucosae, pregnancy passing disorders and childbirth. Dosage: 1 tablet/day for adults and teenagers older than 15 y.o., during the meal. Taking more is useless. Dosage: 1 tablet/day for adults and teenagers older than 15 y.o., with meals. Taking more is useless. Caution: not recommended for patients with hard kidney diseases; possibility of individual intolerance to product components.